July 25, 2017, Vancouver, WA – ConMet is pleased to announce that five of its facilities have been awarded the Daimler Trucks North America (DTNA) 2016 Masters of Quality Supplier award – the highest honor the company gives to its suppliers. 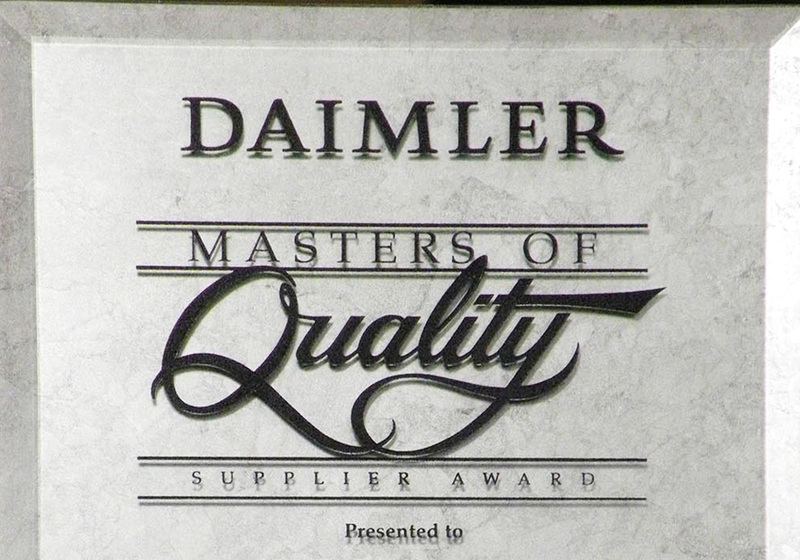 “The Masters of Quality award winners represent the ‘best of the best’ amongst our suppliers; we really appreciate their hard work and commitment since they are a key element to our enduring success,” said Jeff Allen, Senior Vice President, Production, Quality and Specialty Vehicles at DTNA. To ensure only top suppliers receive the award, DTNA carefully tracks the performance of each of their suppliers throughout the year and scores them based on delivery times, technology, value, and overall quality. ConMet is a leading supplier of components for the commercial vehicle market. Its products are standard equipment on every major commercial vehicle manufactured in North America and are available worldwide. ConMet is a division of Amsted Industries, one of the world’s largest transportation component manufacturers and a 100 percent employee-owned company.